MLS#: 6664869 - Courtesy of Re/Max 100 Inc. Bright, open layout with an updated feel, this home boasts beautiful wood floors, a spacious kitchen with plenty of counter space, stainless appliances,a breakfast bar, a master bath with separate soaking tub and shower, a fireplace with modern wood surround, in-unit washer and dryer hookups, and your own private attached garage! Barbecue on your private deck, right off the kitchen. The bedroom is large and inviting with a wall of windows. Clubhouse features a fitness center and pool. Enjoy walking to restaurants, light rail and concerts at Fiddler's Green. 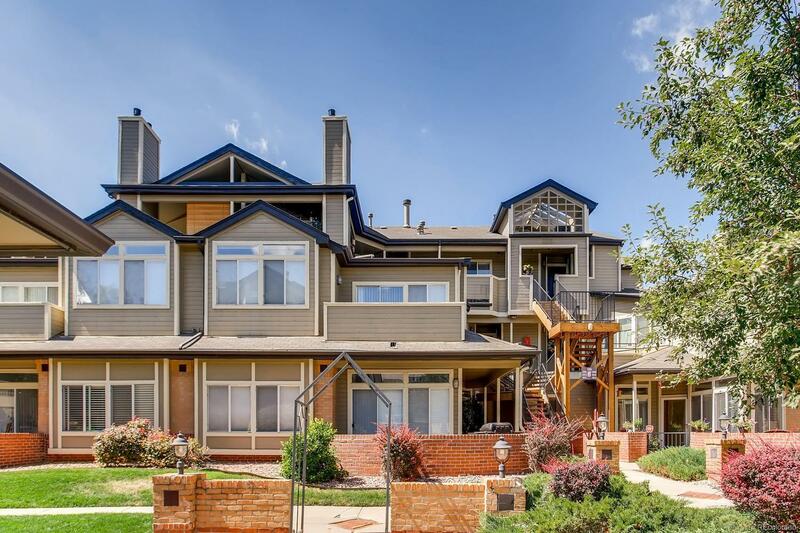 Location is convenient to everything- Cherry Creek Schools and a Greenwood Village address. This home is move-in ready, clean, and cute as a button! Seller will leave the tv bracket.